Is your home experiencing wood rot? It’s an unsightly and expensive problem that is very real for many homeowners with wood windows. This is especially common in homes that were built in the early 70’s to late 80’s who have not replaced their windows. The problem can have a negative impact on the aesthetic appearance of your home, and can decrease its value. So what are you to do if you have rotting windows? If your wood windows are rotting, you might want to consider just replacing them so you don’t have this issue in the future. Once the window frame and panes start to rot there isn’t a lot you can do except replace them. 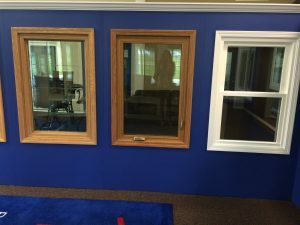 Blue Springs Siding & Windows offers superior replacement windows with a lifetime warranty on parts and labor. We are able to offer such a great warranty on our replacement windows because we know we will install your windows right the first time. Correct installment can drastically affect the lifespan of your windows. Plus, our owner, Mike Tulli, inspects every job to make sure it’s up to par. If you’re over wood, why not try our durable and dependable vinyl replacement windows. Vinyl-clad windows by Soft-Lite stand up to the elements extremely well. Whether it’s wind, rain, sleet, snow, or even harsh window cleaning solutions, you’ll always be impressed. Vinyl never rots, doesn’t need to be painted, and is so easy to care for. If you’re tired of caring for old delicate wood framed windows, make the switch to vinyl today. Call us at (816) 463-8750 or (913) 631-2200 today for a free estimate on Blue Springs Siding & Windows replacement windows for your Kansas City home.